Jan. 21, 2013. 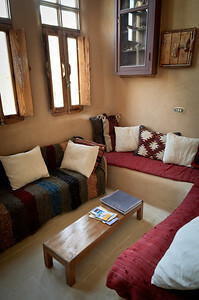 Our villa we rented for a week in Siwa. 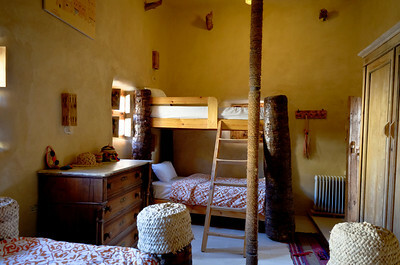 Shown here is the master bedroom. Jan. 21, 2013. 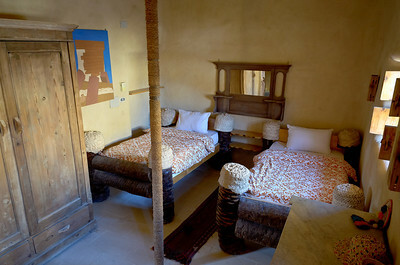 Our villa we rented for a week in Siwa. This area is outside upstairs on the terrace. Jan. 21, 2013. 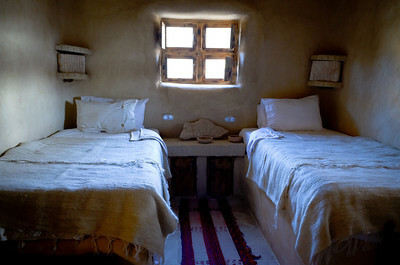 Our villa we rented for a week in Siwa. 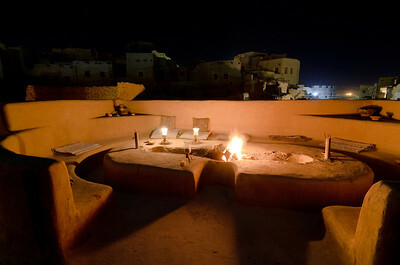 This is the fire pit upstairs on the terrace which overlooks the town. Jan. 21, 2013. 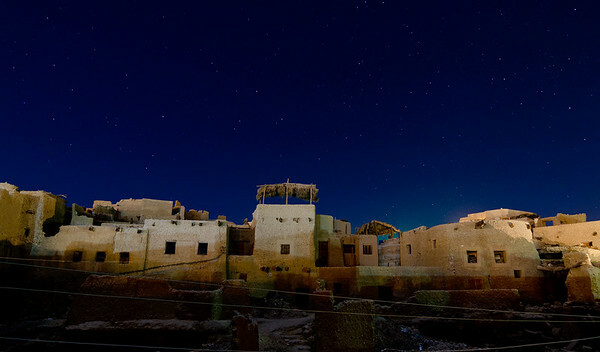 A timed exposure of the ruins of the ancient mudbrick town of Shali from the terrace of our villa we rented for a week in Siwa. Built in 1203 to house the 40 survivors of a tribal attack on the nearby settlement of Aghurmi, this walled, hilltop town protected the entire Siwan population for centuries. Though the houses were abandoned in 1926 after heavy rain, the steep maze of streets can still be explored, and several buildings have been rebuilt and restored. Jan. 22, 2013. 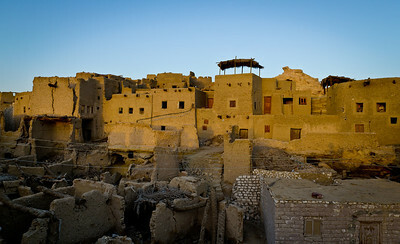 Sunrise exposing the ruins of the ancient mudbrick town of Shali from the terrace of our villa we rented for a week in Siwa. Built in 1203 to house the 40 survivors of a tribal attack on the nearby settlement of Aghurmi, this walled, hilltop town protected the entire Siwan population for centuries. 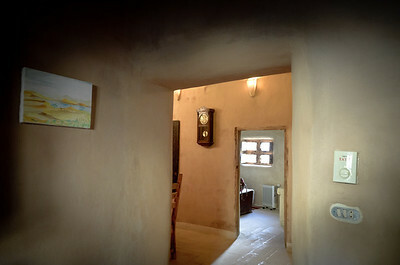 Though the houses were abandoned in 1926 after heavy rain, the steep maze of streets can still be explored, and several buildings have been rebuilt and restored. Jan. 22, 2013. 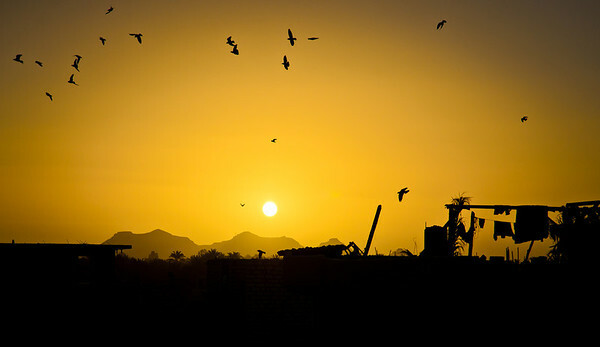 Sunrise from our villa terrace in Siwa. Jan. 22, 2013. 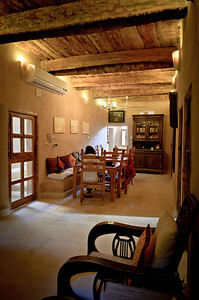 The main dining hall of our villa in Siwa. Jan. 22, 2013. 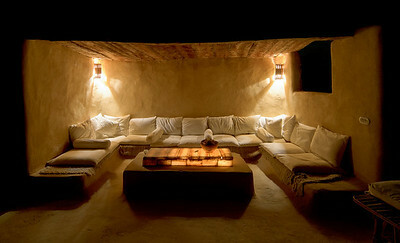 Inside our villa. Jan. 22, 2013. 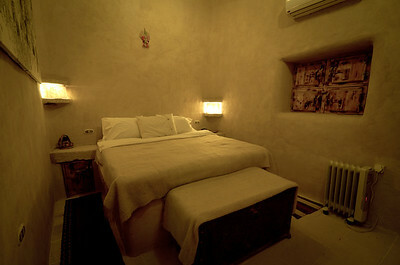 Another bedroom in our villa. Jan. 22, 2013. 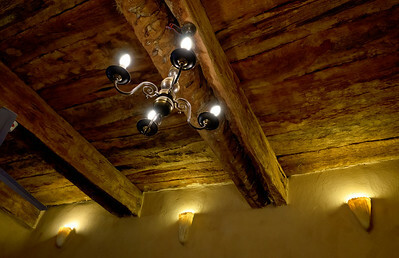 Much of the materials used to build this home were true to the surrounding homes like the date palm wood as ceiling beams. Jan. 22, 2013. 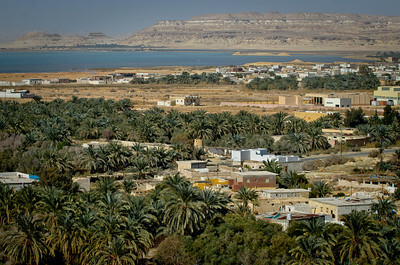 Morning view of Siwa from our terrace. Jan. 22, 2013. We went to visit the Mountain of the Dead with our day guide, Rahim. A view of the town below. Jan. 22, 2013. We went to visit the Mountain of the Dead with our day guide, Rahim. 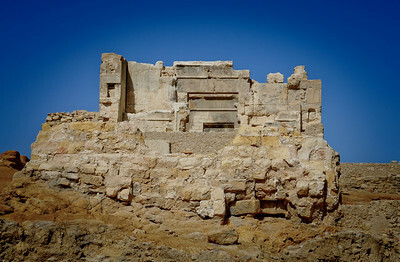 The mountain holds approximately 2600 tombs from the 26th dynasty, ptolemaic period and Roman era. 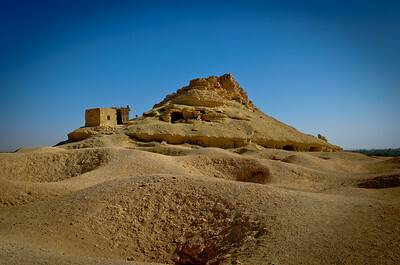 When fighting spread to Siwa during WWII, the Siwans sheltered in the tombs from bombing attacks. Jan. 22, 2013. 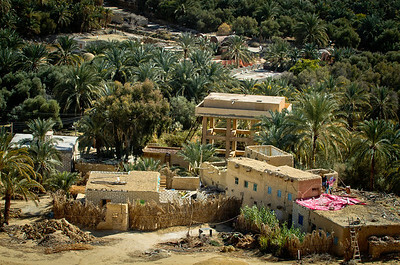 View from the Mountain of the Dead overlooking the Siwa Oasis. Jan. 22, 2013. 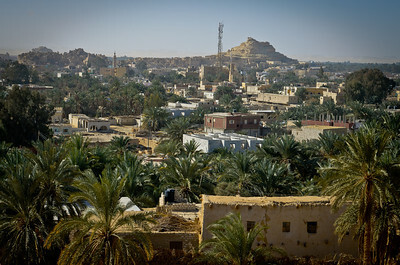 Jeannette and Rahim climb down from the Mountain of the Dead overlooking the Siwa Oasis. Jan. 22, 2013. 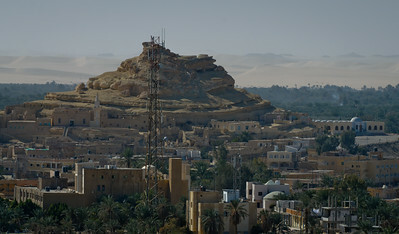 Jeannette on the Mountain of the Dead overlooking the Siwa Oasis. Jan. 22, 2013. Continuing by horse cart with our guide Rahim, we visited the temple of the Oracle, built between 663 and 525 BC. 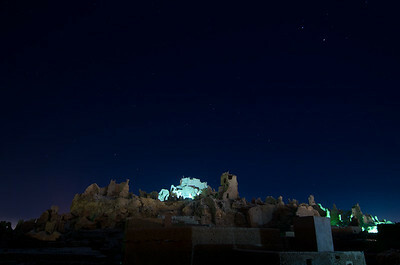 It perches on a rock that was once at the heart of the ancient settlement of Aghurmi. The Oracle's fame was widespread and Alexander the Great came here to consult it in 332 BC after liberating Egypt from Persian rule.